This is a story that could be told in any city that has an “old” cemetery. This is a story that has happened over and over with little notice or concern but for a fleeting moment. In this story some “vandals” thought for whatever reason they had the right or pleasure to destroy graves in a historical cemetery where I live. 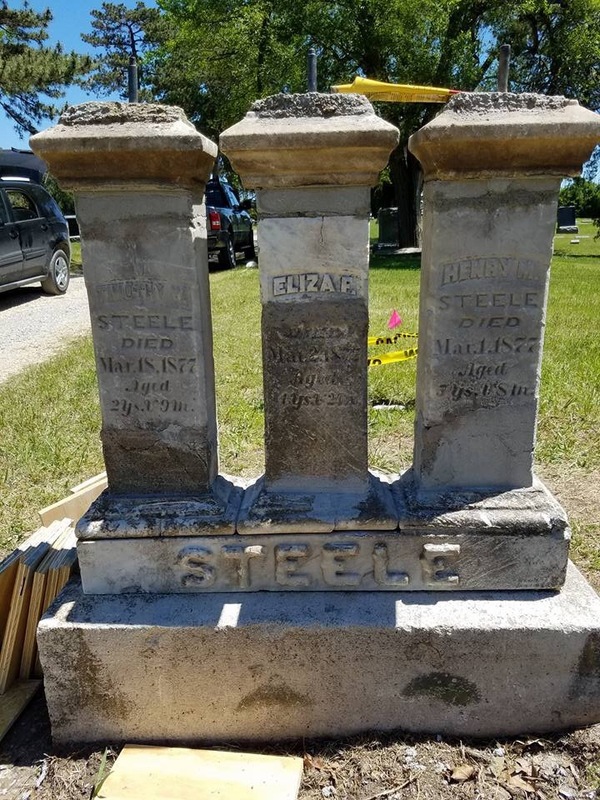 First I should mention that the vandalism did not go unnoticed by the hardworking staff and the volunteers that give their time and talent to preserve this historical cemetery. 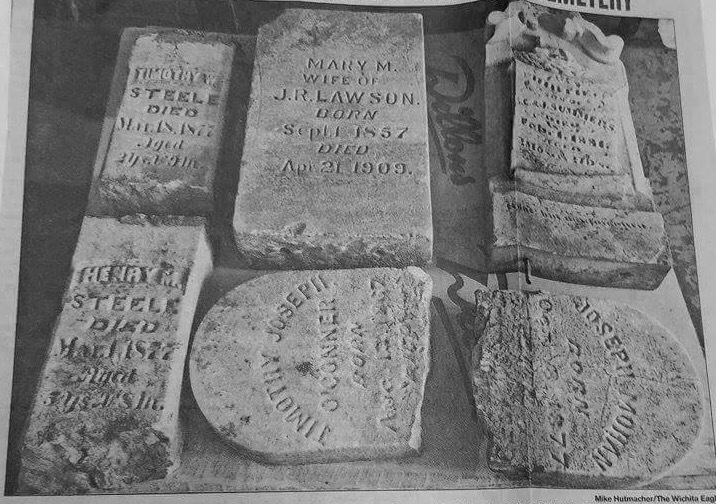 What did go unnoticed by the vandals were the dates, ages, and names of one particular headstone. I would hope they didn’t notice and still chose to destroy the headstone, that would make them not only vandals, but lost souls. Eliza – age 4yrs. – Henry age 3yrs. – Timothy age 2yrs. All three children died within a few days of one another in March of 1877. That year there was an epidemic of scarlet fever and the Steele children succumbed to the fever. I can’t imagine the grief and pain this mother must have felt or the tears that continued to come that horrible month in 1877 as she lost one child ,and then another ,and another. The monument was a way of expressing that her children were here on earth, they were part of a family, they were loved, and their deaths left a hole in their family and her heart. A few months ago someone discovered the missing headstones in a creek on the other side of town. The headstones have been restored thanks to the work of volunteers. I can only vision a mother who wiped her tears away with the restoration of her children’s final resting place.